Have you found an online vendor selling Bundaberg 10-year? I had an amazing opportunity to try a dozen different unopened Bundaberg's with my Aussie colleague last year and the 10 year old Bundy is a smooth operator! Has a lot of whisky like flavor profile and a bit of a afterburn, but out of all the Bundy's I had a chance to try out, this was one of the smoothest of them all. A bit too much burn for me , lots of flavour etc. And a big step up from their normal rums , i tried this in their Distillery , great way to spend a morning.. This rum was brought out in 2010, which was the first release in their Master Distiller Collection. A Limited Edition rum, you now can't buy these anywhere unless you are willing to part with $250-$300. 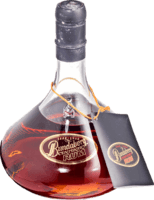 For Bundaberg collectors its a great piece, but if you want to drink it, for $300, you can get yourself much better rums for this price. Regardless of price, at the time it was the top of the rum from Bundaberg. Very dark colour, and rum is very oaky. This is a smooth neat drinking rum, and would be criminal to mix. Still a bit of heat on the throat (as with a lot of bundy rums), but still very nice. One of my favourite Bundy's. Very nice and hard to get here in the states.